The Richardson Maritime Museum at 401 High Street, was founded to celebrate the art of wooden boat building. The museum, a repository of Chesapeake Bay wooden boat memorabilia, is open April – Oct., from 1:00 – 4:00 Wed., Sat., and Sun. The Choptank River Lighthouse is a replica of a six-sided screwpile lighthouse. The lighthouse is open daily from 9:00 am to 6:00pm for self-guided tours. Located at the end of the pier at Long Wharf Park (at Water and High Streets). The Merideth House, at 902 LaGrange Ave., is the home of the Dorchester County Historical Society. The house is furnished with fine antiques, several portraits of early County residents, and other household items. On the second floor, there are two rooms of particular interest: the Children’s Room, which features a collection of antique dolls and toys, and the Governors’ Room, which exhibits memorabilia from the seven Maryland governors who have resided in the County. 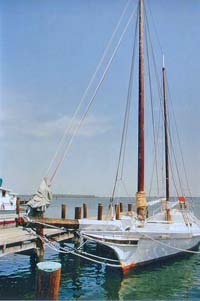 The Skipjack Nathan is a traditional Chesapeake Bay skipjack built to preserve the nautical heritage of Dorchester County. The skipjack offers sailing cruises, educational programs, and serves as a sailing ambassador. The Skipjack Nathan is berthed at Long Wharf Park at the end of High Street. The Nathan offers 2 hour sails on the Choptank River when she is in Cambridge. Check their website at www.shipjack-nathan.org for more information. In an effort to further enliven Cambridge’s waterfront, a non-profit group is developing the multi-million dollar Sailwinds Park. The visitor center and festival hall host a variety of events. Governor’s Hall at Sailwinds Park features a popular concert series. The Choptank River Fishing Piers State Park offers good fishing just outside of town. The fishing piers are the remains of an old bridge, located next to the current US 50 bridge. A variety of fish can be caught from the pier, including perch, striped bass, hard heads, sea trout, and catfish. 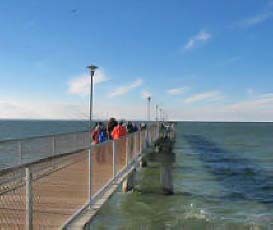 The pier is lighted for night fishing and the Dorchester County (Cambridge) side of the pier is open year round. There is a 25 acre park on the Talbot County side with walking paths along the Choptank River and Bolingbroke Creek. Also included on the estate is the Horn Point Environmental Laboratory, operated by the University of Maryland, which has several nature trails along the shores of the Choptank River. Facility tours are available by appointment. Visit the Cambridge Farmers Market on Thursday afternoons from 3:00 to 6:00pm at the Long Wharf parking lot. 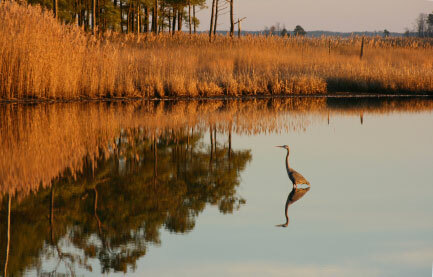 When in the area, be sure to visit the nearby Blackwater National Wildlife Refuge, 10 miles south of Cambridge. The refuge features 21,000 acres of marshland and is a major stopping point for wintering waterfowl traveling the Atlantic flyway. The refuge is also an excellent place to spot Bald Eagles. They have a new Wildlife Drive Guide App for iphones that uses audio, video and photos to describe stops along the drive. When you’re in the Cambridge area, you should also consider visiting the nearby towns of Easton, Oxford, and St. Michaels. Sailwinds Park, on the Choptank River, has a 14,000 square-foot festival hall and hosts indoor or outdoor concerts, trade shows, banquets, fairs and festivals. Visit the Sailwinds website for a current concert schedule.